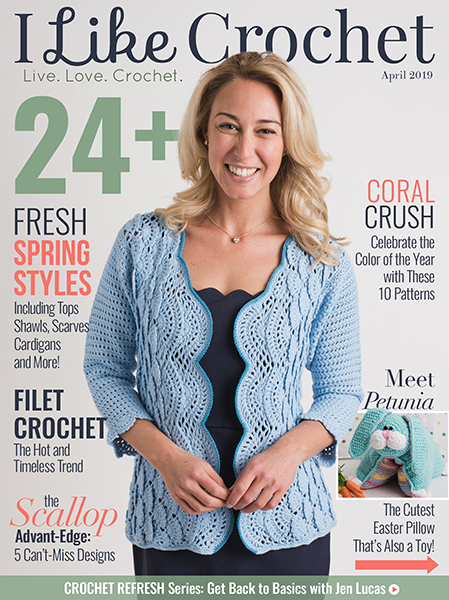 Saturday Sweater Tutorial: Free #Crochet Pattern on Moogly! 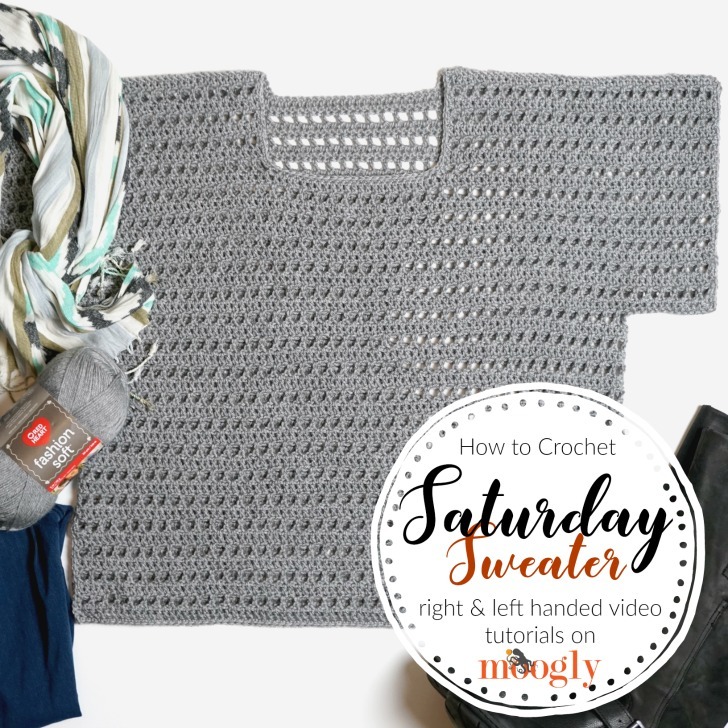 The Saturday Sweater is easy to make, easy to stitch, and easy to wear! 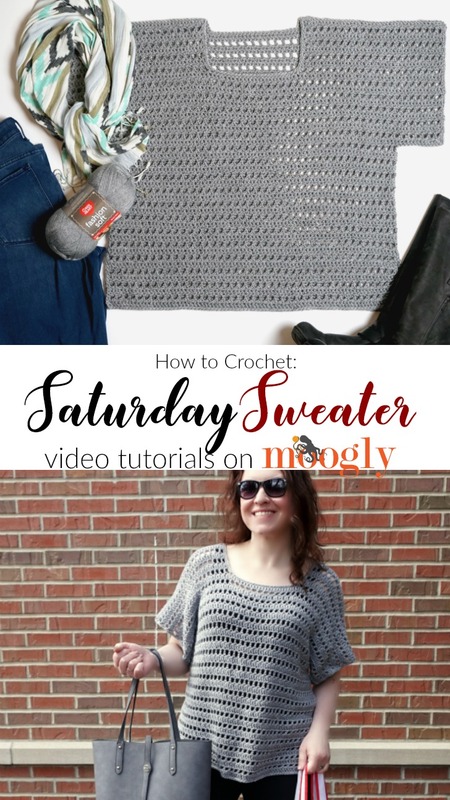 And now it’s even easier to crochet with this Moogly video Saturday Sweater Tutorial! 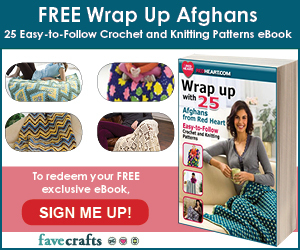 by Red Heart Yarns and Furls Crochet. I hope that this tutorial helps! With 8 sizes, I couldn’t make an entire sweater on camera – but the stitches themselves (and indeed the whole sweater!) couldn’t be simpler. The Saturday Sweater can be yours – and it whips up super fast too! Just watch the video above, and follow the written pattern – and let me know if you have any other questions I haven’t answered yet! If you’ve enjoyed this video or found it helpful, please do let me know. 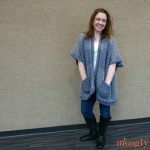 And if you make the Saturday Sweater be sure to tag me in your photos so I can see them too, @mooglyblog or #mooglyblog! Thanks so much for reading and watching! Hi Patricia! For graphs and images like that, when working left handed, you have to work each row of the pattern with color changes in reverse. So for instance, if the instructions said to do 16 sts in Color A, then 12 sts in Color B, then 4 sts in Color A again, you would want to make 4 sts in Color A, followed by 12 sts in Color B, followed by 16 sts in Color A. Does that make sense? Love love the Saturday Sweater! Made it on a weekend and was delighted with the results! Fits great! 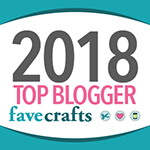 I made mine in antique white and it really looks great with my rose pink tee shirt under it. A cami or sleeveless shirt will work for warmer weather. 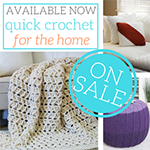 Thanks for sharing; I am always pleased when I choose one of your designs to crochet! They are well-written and easy to follow; very professionally done!! Love this! Have to try it. You have such great dedigns. Thank you! 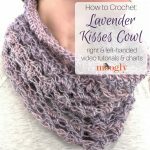 Love the video tutorials much better than reading a pattern! This is the first crochet garment I’ve made (normally a knitter!) and I’m stuck. When you join the yarn under the sleeves for the body (in stitch 13), how do you do that? I put hook through, yarned over & pulled through then my 4 chains but it’s very loose. 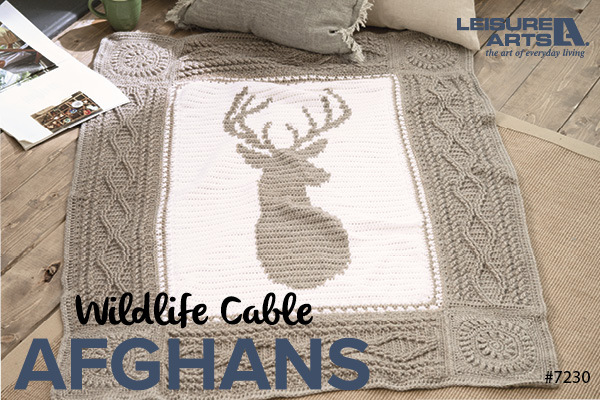 Everything I’ve googled tells me how to join a new ball of yarn but not how to do this. Sorry if this is somethinf basic everyone knows but me! Hi Debbie! 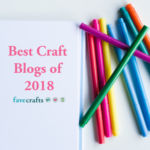 Since you’re a relatively new crocheter, I would have you join with a slip stitch and then chain – just like you would with a new ball of yarn. The trick is to pull that first slip stitch down really tight with the tail end, and don’t count it when you chain 4 to begin the row. When you weave in that tail, it will be firmly in place, and you can stitch over it in the next few stitches to add a little more strength too. Does that help? Or am I maybe misunderstanding? That makes sense thank you Tamara. I think that’s what I was doing, the tail end just seemed too loose. I will weave it in and hopefully that will fix it. Love the pattern, can’t wait to wear it! 😀 I’m so glad! I hope you love the rest too! 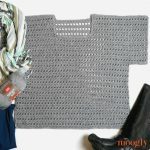 I crochet my first one Saturday sweater, thank you, it’s simple for me, because I’m the new crocheter. Please make tutorials for the same sweater with round neck and v neck! Please!!! I’m so glad you liked it! I look forward to designing all sorts of garments in the future! 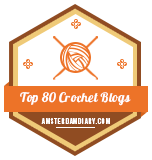 Hi Tamara, what stictch do you use to test your gage for this sweater? It’s been a long time since I crocheted but I LOVE this pattern. My hooks seem bulky and yours have a slim head. I wonder if they work easier than mine. Also really fun to learn a new stitch like the foundation one which seems strong and saves some time too. Thank you for the pattern and all the others that you send too. I have finished my sweater without sleeves apparently! Need more detail on that part I missed out on.Video if possible.